One of the core marketing principles is determining what action you want your audience to take and facilitating their ability to do so. In all the hubub around social media and brands fighting for following, we’ve forgotten that. “We’re a modern brand taking advantage of new mediums – come connect with us so we can market to you directly”. Don’t get me wrong – I think for the first couple years, simply putting those symbols on your marketing did send the ‘we’re modern’ message to the 90% of the population who weren’t yet actually using Twitter & Facebook – and it helped – even if you were actually ignoring your presence on those mediums and disengaging the 10% who were actually using social media. The problem is – those numbers have switched. 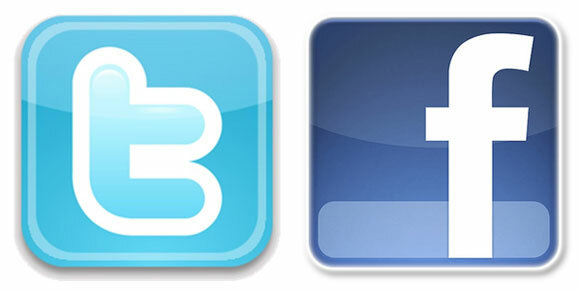 Facebook would be the 3rd largest country in the world and Twitter is somewhere between Singapore and Canada. When the telephone was the best medium to reach people – did you see billboards that said “Find us in the phone book!”? No, they gave you the phone number. When the internet started did commercials say “We’re on the World Wide Web!” and leave it at that? No, they gave their website address. Why, then, do we feel compelled to put a little blue F & T on all our off-line materials? People are in front of computers all day and have more mobile access than ever. If we truly want people to engage – and facilitate their doing so – we need to say/share our Facebook URLs and Twitter handles. To take verbiage from Malcom Gladwell’s Tipping Point, as a marketer, you’re looking for social media mavens – those that love to tweet and have a decent following. Those people also understand the stronger relationships that can be built using a person’s, company’s or brand’s actual handle on on Twitter – not just your name. If they see a commercial that they love, weather forecast they want to share or anything to tweet about (which is what you wanted, right?) they have to Google your company’s twitter handle in order to mention you accurately. 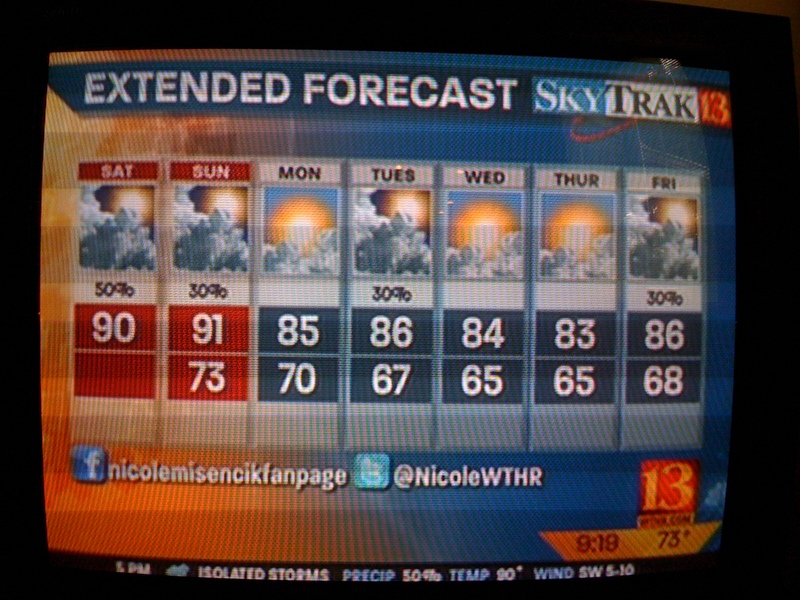 In this example, if it were only the T and F logos – I might tweet “going to be a great sunny day today!” Instead, since I’ve been given the handle, I might say “Thanks for the awesome forecast @NicoleWTHR!” which speaks to Nicole directly and gives her a mention to all my followers. Online is a different story. As long as the F and T link to your pages, I think you’re ok. People can go there directly or mouse over it to find your true Twitter handle or Facebook URL. What do you think? Do we have it all wrong? How are you marketing your online presence offline? Next Did Toyota’s cause marketing pass the test?